The business of connecting with candidates via text messaging has been a clear winner in the recruitment space the last few years. Readers will remember applicant tracking solution iCIMS acquiring TextRecruit early last year, and more recently Jobvite adding start-up Canvas to its roster. Second-generation messaging apps like Mya, Olivia, AllyO, and Emissary are carrying on the tradition of leveraging the most popular activity on mobile devices — the most popular apps are peppered with messaging — to bring employers and job seekers together. Millions are flowing into this space for good reason. So what does the next act look like? TextRecruit is making a bet on virtual job fairs. 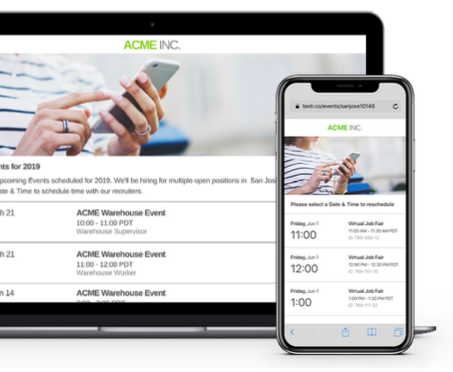 Launched last week, TextRecruit’s Virtual Career Fairs are chat-based online events that TextRecruit believes simplify the way candidates connect with employers through virtualized and branded recruiting experiences. The new feature provides employers with a new way to reach talent regardless of location or availability. Traditional job fairs are typically plagued with issues like wasting time and money talking to unqualified folks, traveling to the actual event and competing with the myriad of competitors who might also be in attendance. The last one, competition, is ironically an important strategy fairs use to get companies to participate, by the way. Clever, huh? The virtual job fair is supposed to take away the pain companies feel from traditional events. Results, however, have been mixed. I remember the days when companies would set up virtual islands on Second Life to attract candidates. Yeah, that used to be a thing. The automation and AI components of today’s new breed of companies, however, may breath new life into the long-challenged virtual job fair business. Or at least TextRecruit hopes so. To accomplish this, employers set up a branded landing page. Then it’s up to them to promote said page(s), on billboards, storefronts, social media posts, email blasts, and the like. 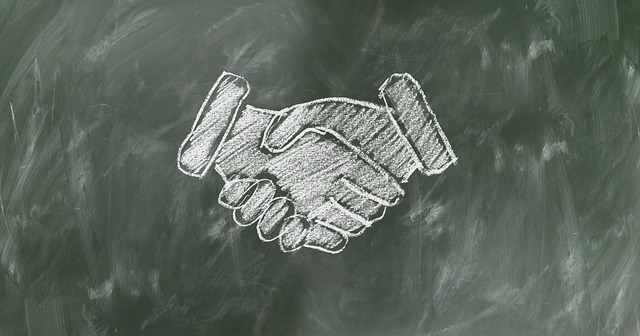 Captured prospects can be sent directly to a company’s CRM or ATS. Job seekers select a date and time from the landing page, which is also added to a calendar. Mobile alerts are included. Conversations occur in timed, one-on-one chats that take place with a reserved period of time. Session collaboration is possible with real-time communication capture via a team or individual recruiter inbox. Admin users can invite additional recruiters to collaborate with a candidate in real time. TextRecruit says this helps ensure a positive user experience for both the candidate and recruiter. An unlimited number of virtual events can be created in all Virtual Career Fairs packages. Companies will also be able to assign as many recruiters as it needs to manage conversations with attendees. Each event generates a unique tracking link so employers can better track promotions. TextRecruit will be unveiling Virtual Career Fairs at this week’s SHRM Talent conference in Nashville. Pricing has not been made public. Some features can only be accessed with a TextRecruit text-messaging subscription.